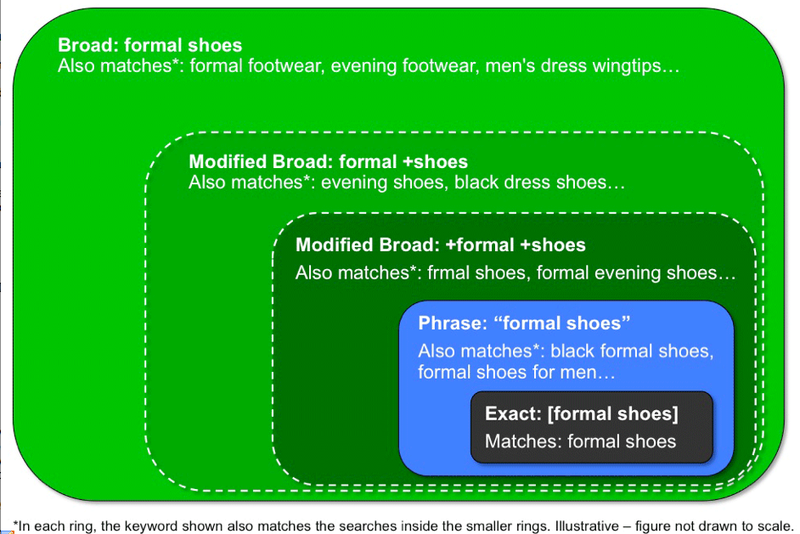 What is the Google AdWords Broad Match Modifier? The broad match modifier is an AdWords targeting feature that lets you create keywords which have greater reach than phrase match, and more control than broad match. Adding modified broad match keywords to your campaign can help you get more clicks and conversions at an attractive ROI, especially if you mainly use exact and phrase match keywords today. You implement the modifier by putting a plus symbol (+) directly in front of one or more words in a broad match keyword. Each word preceded by a + must appear in the user’s search exactly or as a close variant. Depending on the language, close variants will include misspellings, singular/plural forms, abbreviations and acronyms, and stemmings (like “floor” and “flooring”). Synonyms (like “quick” and “fast”) and related searches (like “flowers” and “tulips”) are not considered close variants. See the Broad Match Modifier Infographic to learn more about it works. This entry was posted on October 29, 2010 at 11:52 am and is filed under Google AdWords Broad Match Modifier, Reach, Return on Investment, ROI. You can follow any responses to this entry through the RSS 2.0 feed. You can leave a response, or trackback from your own site. Not only were CTRs higher for modified broad match keywords, but CPCs were lower too. Would be great to hear your opinions.